The Greatest Showman soundtrack returns to the No. 1 spot on UK's Albums Chart, spending now its 15th, non-consecutive, week at the top of the chart! Dropping to No. 2 we have Post Malone's Beerbongs & Bentleys and debuting at No. 3 we have Frank Turner's Be More Kind! 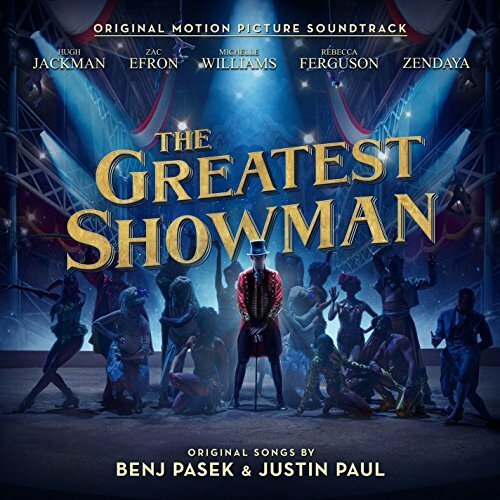 A banda sonora do filme The Greatest Showman regressa ao #1 da tabela de álbuns mais vendidos no Reino Unido, passando assim a sua 15ª semana, não consecutiva, no topo desta tabela! A descer para o #2 temos Beerbongs & Bentleys de Post Malone e a entrar no #3 temos Be More Kind de Frank Turner!